Traditional cardamom chai, sulamani chai, butter chai, and coconut rose chai at the Chai Spot in NYC. The Chai Spot is meant to be a place that bridges cultures and gives back. Poverty is a major barrier to children's education in many places, but cultural attitudes pose an additional hurdle for girls around the world. Activist Khalida Brohi and her husband, David Barron, created the Chai Spot — a chai cafe and social enterprise — to support education and empower girls and women in rural parts of Pakistan. You can take action here to be the generation to end poverty. Five years ago, in a small, second-floor apartment in Venice, Italy, 29-year-old Khalida Brohi was faced with a daunting challenge. As a globally recognized women’s rights activist in Pakistan, she had already participated in countless protests and even received death threats for her work. But this particular battle was her own, one she never thought she would fight — choosing her own husband. No woman in her tribe, the Brahvi (or Brahui), had chosen her own husband before. In fact, women have been killed just for trying. And yet there Brohi sat with her parents, 4,000 miles away from their hometown in the Balochistan region of Pakistan, across from the man she loved: David Darius Barron. The question was whether her parents would let her marry this Italian-American, Arizona-born man — whom she met in 2012 at a Google event in Los Angeles, California. “After our first meeting, I ran back home to Pakistan and I was like, I can’t let myself feel anything for anyone ... I am already bringing so much trouble to my family,” Brohi told Global Citizen. In traditional Pakistani culture, a marriage is a union between families, which can only be arranged by one’s elders and family. Before two people can be married, their families will consider each other’s caste, religion, and background. Falling in love — and marrying for love — is considered a sin, Brohi explained. “My family thought that I was joking … and I was like no, really, I am in love. My mom just cried for days because [to her] this was the end of all the relationships we had, me and my six sisters,” she said. “She was like, ‘No one is going to marry you now … you fell in love — it’s such a sin. It’s not allowed and that [is] too outside of our culture and religion,’” Brohi recalled. Her mother was just 9 years old when her marriage to her husband was arranged. Brohi herself nearly had her own marriage arranged by her grandfather soon after she was born, but her father, still just a teenager, protested. He wanted a different fate for his daughter. In Balochistan, 6 out of 10 girls are married before they turn 20, and about 81% percent of girls and women have not completed primary school. A girl’s fate in the under-resourced province is then generally determined by her father and tribal community elders. But Brohi was determined to take her fate into her own hands. After dating for years, she and Barron finally orchestrated an opportunity for their parents to meet during a peacebuilding conference where Brohi was speaking in Italy. But sitting together for the first time, in a small Airbnb near the Rialto Bridge, the initial awkwardness of the meeting grew into a tense and prolonged silence. Brohi’s mother and father excused themselves to make some chai — a popular beverage in South Asia, traditionally brewed with black tea leaves, spices, and milk. “When they finally emerged, she had these beautiful, steaming cups of aromatic, delicious tea,” Barron told Global Citizen. Brohi’s mother handed everyone a cup, and her father cracked a joke. The silence gave way to laughter. And soon the couple was engaged with their parents’ blessings. “That was the first moment that Khalida and I realized that there was something special about chai,” Barron said. In January 2015, Brohi and Barron were married in a 10-day-long celebration in Karachi, Pakistan. They had planned to hold another celebration in Arizona for Barron’s family and friends, but decided instead to use those funds to open a café that bridged American and Pakistani culture in the same way their marriage did. A few months later, they opened Chai Spot — a traditional chai café that aims to promote cross-cultural dialogue — in Sedona. It was a successful venture, and so earlier this year, they opened a second location in New York City. The best part is that they use half their profits to empower the next generation of women and girls in Pakistan, in the hopes that they will face fewer obstacles when chasing their dreams than Brohi did. Between January and September 2017, the Council for American-Muslim Relations recorded 1,656 “bias incidents” and 195 hate crimes in the US — an overall increase since the Sept. 11 attacks. Brohi and Barron hoped to change that, so New York City seemed like the logical place to open the next Chai Spot. Through their business, Brohi and Barron hope to tackle the negative stereotypes associated with Pakistan and Islam common in the US by highlighting the beauty and openness of Pakistani culture. And their newest Chai Spot location in Manhattan’s Chinatown neighborhood does just that. With a Starbucks on every corner, there is no shortage of chai in New York City. In fact, before meeting Brohi, Barron’s only exposure to chai was the Starbucks variety. He ultimately learned the traditional art of making chai from his mother-in-law. But in addition to offering traditional chai — which tastes drastically different from the commercially sold drink — the Chai Spot fosters cultural exchange. Barron says that what delighted him the most about chai culture was not the drink itself so much as the social aspect of it. Chai is the most consumed beverage in Pakistan. People drink it around seven to 13 times a day, typically with friends and family. “That was really important to us in bringing chai to America. We have really become so disconnected from each other. The coffee culture, which used to be about getting to meet with friends and have a break, is now just an energy drink,” he said. Inside the bright and colorful café on Mott Street, Barron — who refers to himself as the main "chaiwala"— brews six different kind of chai. The Chai Spot on Mott Street in New York City. On either side of the store, shelves with handcrafted jars, notebooks, vases, bowls, and clothes made by female artisans in Pakistan’s rural communities line the walls — all of which are for sale and benefit girls and women in these communities. Low-lying divans and colorful curtains offer people a welcoming place to play board games, read books, and chat while sipping from colorful jars of chai. 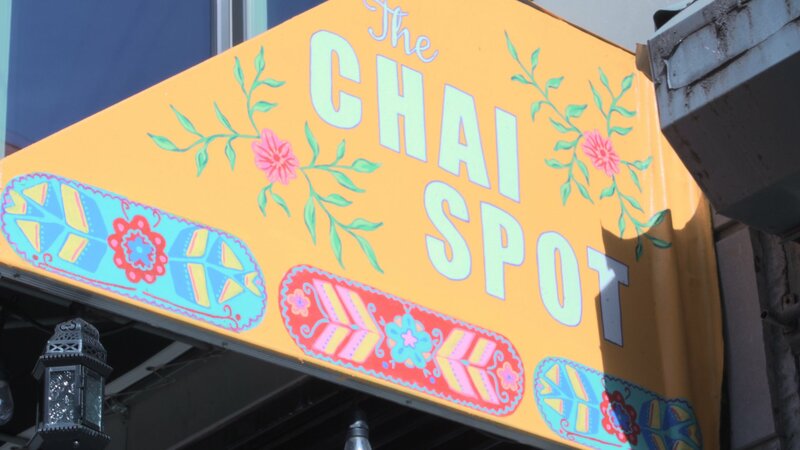 Barron also sees Chai Spot as a venture that helps challenge the negative perception of South Asian cultures in the US. Recent incidents, like the terror attack on two mosques in New Zealand, highlight the rising issue of violent Islamophobia in many places around the world. “It’s important for Americans to be exposed to Muslim cultures and Eastern cultures because, at the end of the day, all these conflicts that we have, all these fears that we have, boils down to a fundamental lack of exposure," Barron said. Barron sees himself as a peacebuilding ambassador in the store. He engages customers with stories of his travels and tries to clear up their misconceptions about South Asian cultures. The kids he refers to are students at two schools Brohi established in rural Pakistan, using funds from the two Chai Spot locations and support from the Sughar Foundation, the nonprofit organization Brohi founded. Barron, who calls himself the main "chai-wala," prepares a coconut rose chai. One of the two schools, located in Khuda Ki Basti in the city of Kotri, is named after Brohi’s cousin, Khadija. Khadija became the victim of honor killing because she sought to marry a man she loved. The school that bears her name has now reached an enrollment of 200 students —up from just 70 in one year —in an area where mosques were previously the only educational institutions. 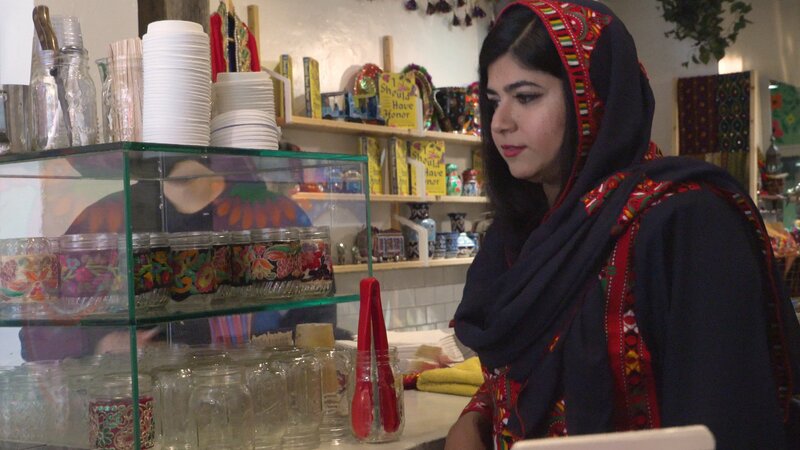 “I love the idea that with just one cup of chai, we are not only giving a beautiful experience to people who come to Chai Spot here, but they help us make something so extraordinary in Pakistan,” Brohi said. “One dollar goes to [about] 130 [Pakistani] rupees, which is usually two meals for people. So if we are giving a child a whole year’s education with just $100, it’s eye-opening,” she added. Education isn’t the only cause that Brohi supports using the profits from Chai Spot. Through the Sughar Foundation, Brohi has also established numerous training centers for rural women in Pakistan, where they learn embroidery, art, music, and entrepreneurial skills. They also learn about their legal rights as citizens and women. The handicrafts and trinkets sold at the Chai Spot not only come from these female artisans, but the proceeds from sales also benefit them. 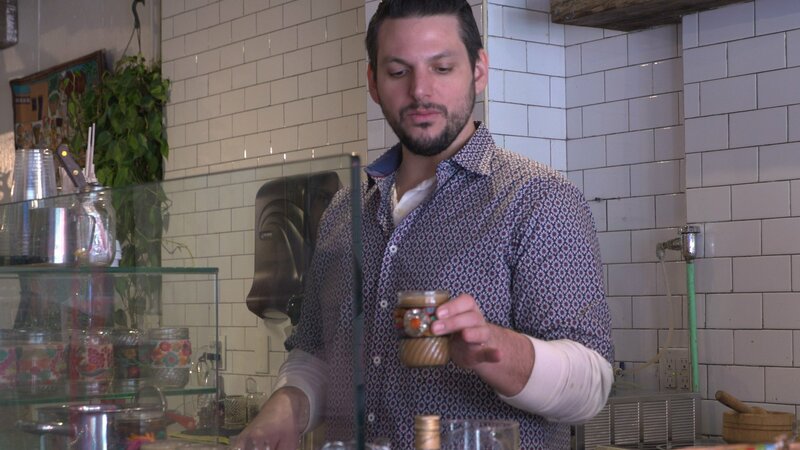 Brohi behind the counter, talking about the sequined sleeves on the glass jars. “Since we have been working with these communities for over 13 years ... I have been able to find these people who need our help,” Brohi said. In 2016, seven years after it was established, the Sughar Foundation already had 23 centers and employed 800 women workers across Pakistan. 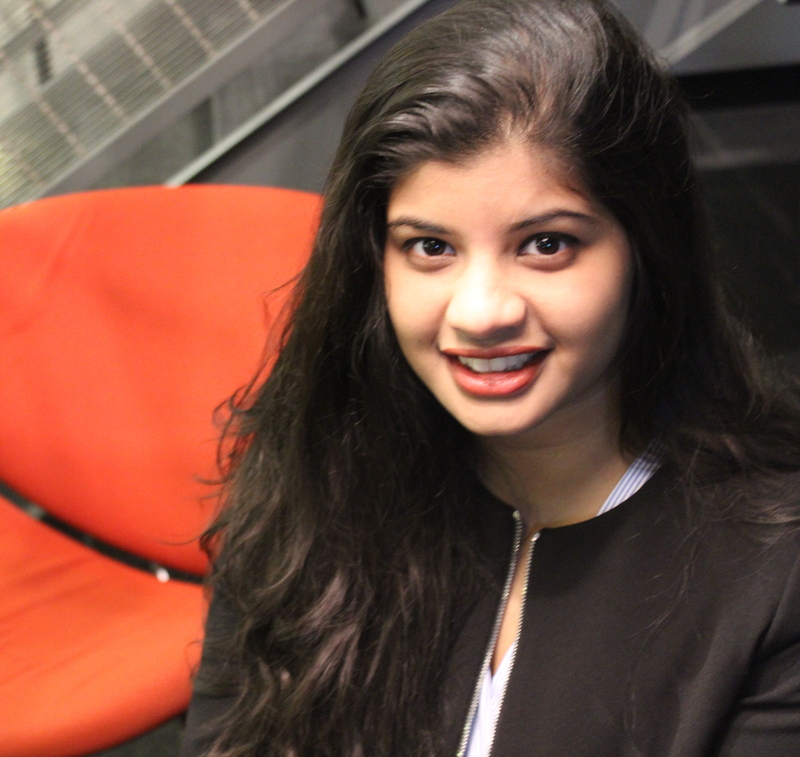 Brohi’s work earned her a spot on the Forbes 30 Under 30 Asia list in 2016. She also won the Buffett Institute's Emerging Global Leader Award at Northwestern University in 2015. Her tireless efforts to empower the women in her community and her fight against honor killings have made her a popular speaker abroad. In fact, Brohi was a speaker at the Google event where the pair first met. Throughout Brohi's career, two things have remained important to her: fighting for access to education and fighting for women’s rights in Pakistan — because she had to fight for both herself growing up. For many children in Pakistan, poverty is the biggest barrier to getting an education. According to Pakistan’s first-ever official report of the multidimensional poverty index in 2016, nearly 39% of Pakistanis live in “multidimensional poverty,” referring to the UN index that takes into account health, standard of living, and education. The highest rates of poverty are found in Balochistan — where Brohi is from — and the country’s semi-autonomous tribal areas. Through providing educational and economic opportunities to girls and women in Pakistan, Brohi and Barron aim to empower them to lift themselves out of the poverty trap. And chai enthusiasts in Sedona and New York City can now join them in that mission.